Learn more about the important work taking place in Longview. 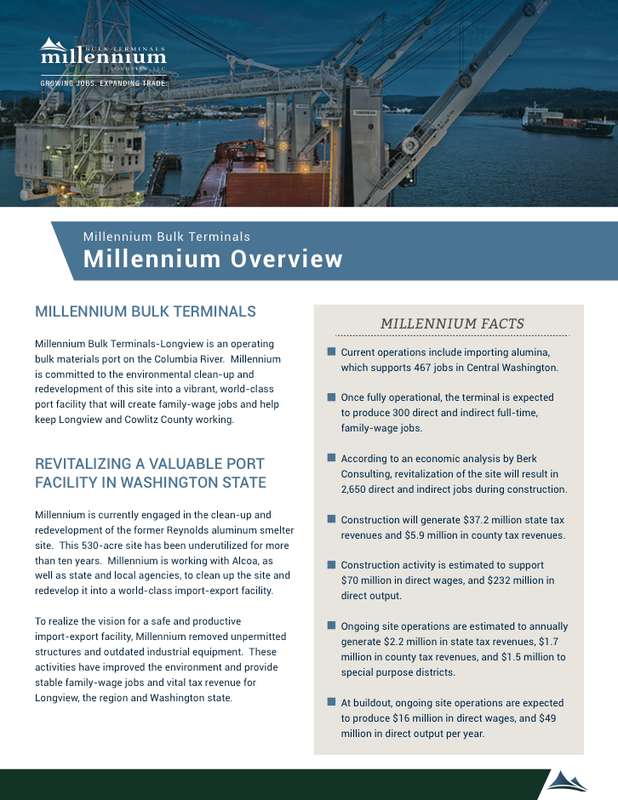 Millennium is a working port facility with import handling activities and terminal redevelopment plans. We aim to provide information in more detail that further explains our operations and future growth plans. Below you will find a collection of materials that expand upon important facts and summarize the coal export project. 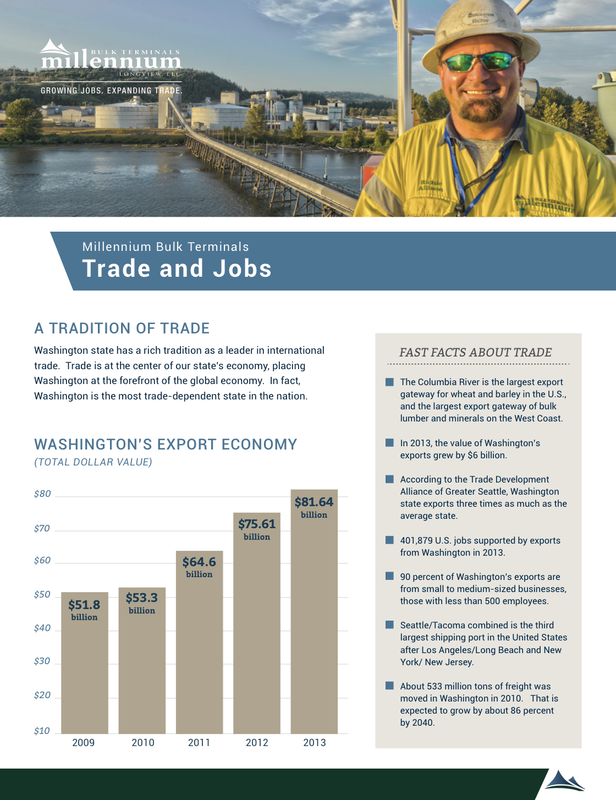 We encourage you to use these resources to better understand the enormous opportunity Millennium represents for Longview and Southwest Washington. Use the tool below to search and view our media library. Video topics range from details regarding the permitting process to family stories from employees. We hope you enjoy learning more about our current operations and the proposed redevelopment. Learn how Millennium Bulk is growing and giving back to the community. Sign up now for our newsletter.